Cracking price for a console that includes a game priced at £45 plus. 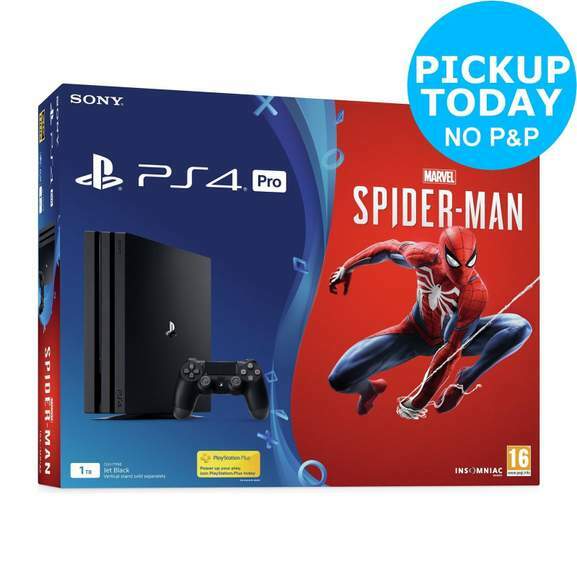 The PlayStation 4 Pro version is from Argos on eBay and uses the same code. Thanks to @reindeer333 for the code. Use PERKS at checkout. Be greater and explore a new chapter in Marvel's Spider-Man universe in HDR quality graphics* with the Marvel's Spider-Man bundle on PlayStation®4. 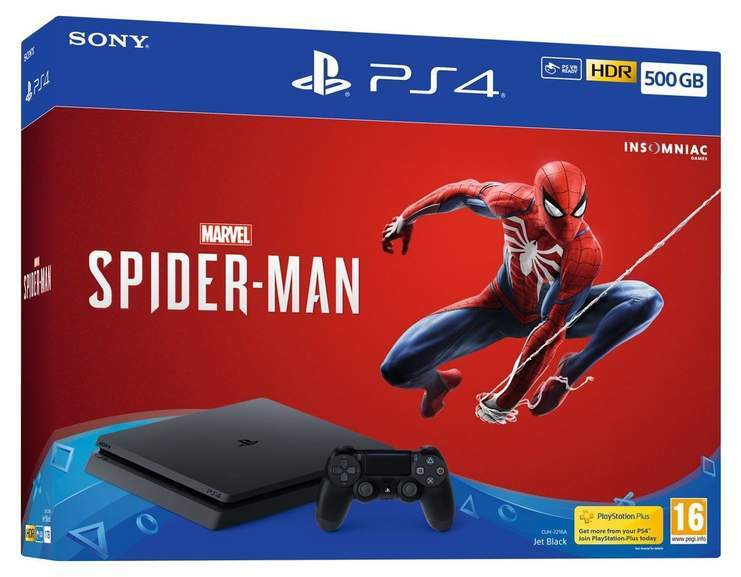 This great value Jet Black 500GB PS4 bundle includes a matching Jet Black DUALSHOCK®4 wireless controller and a copy of the Standard Edition of the game on Blu-ray Disc. Starring one of the world's most iconic Super Heroes, Marvel's Spider-Man features the acrobatic abilities, improvisation and web-slinging that the wall-crawler is famous for, while also introducing elements never-before-seen in a Spider-Man game. From traversing by parkour and unique environmental interactions, to new combat and blockbuster action, it's Spider-Man unlike any you've played before. Product Dimensions (w/h/d) approx. 288mm x 265mm x 39mm Packaging Dimensions (w/h/d) approx. 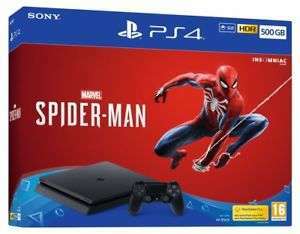 428mm x 341mm x 93mm HDD: 500GB Main supplied items: 500GB PS4 console, one DUALSHOCK®4 wireless controller, HDMI cable, USB cable, Mono headset, AC power cord, Standard Edition of Marvel's Spider-Man game on Blu-ray Disc. Even if it is, it'll be the "not to be sold seperately" version and you can't resell to CEX etc. I know as I bought the COD PS4 pack a while ago and couldn't sell the game via CEX etc. You could ebay it of course! Even if it is, it'll be the "not to be sold seperately" version and you …Even if it is, it'll be the "not to be sold seperately" version and you can't resell to CEX etc. I know as I bought the COD PS4 pack a while ago and couldn't sell the game via CEX etc. You could ebay it of course! Such a shame I could not resell! :) I wouldn’t ever even think of auctioning it on eBay! Dear God, the repercussions of that! Seriously though, I'm sure you'll get rid of it on eBay if it is a physical copy. You gangster! Seriously though, I'm sure you'll get rid of it on eBay …You gangster! Seriously though, I'm sure you'll get rid of it on eBay if it is a physical copy. Just reprint a cover for it! What's good for one. I can't seem to apply the code to my order for the PS4 slim on ShopTo, anyone else having issues? I can't seem to apply the code to my order for the PS4 slim on ShopTo, …I can't seem to apply the code to my order for the PS4 slim on ShopTo, anyone else having issues? On their actual site mate, or eBay? NVM, got it working, changed my address to the US for a deal on eBay to get 15% off a while ago. Works fine now I changed it back. Exactly what I did with my Fifa 18, some douche bag from Gumtree bought it off me. Was trying to act all ghetto saying there’s no disc in the box as the item was sealed and would not hand the money over. Proceeded by closing the door then he changed his mind. So I took the money and let him open it in front of me .... surprise surprise ... disc is there. Door closed & transaction completed. Exactly what I did with my Fifa 18, some douche bag from Gumtree bought it …Exactly what I did with my Fifa 18, some douche bag from Gumtree bought it off me. 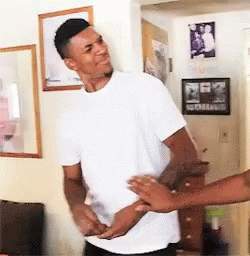 Was trying to act all ghetto saying there’s no disc in the box as the item was sealed and would not hand the money over.Proceeded by closing the door then he changed his mind. So I took the money and let him open it in front of me .... surprise surprise ... disc is there. Door closed & transaction completed. Cex will take it off you, i brought the same bundle when it was 15% off and they paid full amount. Cex will take it off you, i brought the same bundle when it was 15% off …Cex will take it off you, i brought the same bundle when it was 15% off and they paid full amount. You know Cex resold bundled FIFA copies for years now (including FIFA 18) and either left the "not for resale" cover or made their own printed copies (which look awful btw). They do it for other games too, they have no ethics but apparently it's an allowed practise - according to them anyway. Just got Platinum in Spider-Man, great story and lots of fun swinging around. Extremely repetitive missions and hand holding from start to finish which got tiresome but the game mechanics and story carried the game. Definitely felt like Spider-Man which is the biggest compliment I can give it. You know Cex resold bundled FIFA copies for years now (including FIFA 18) …You know Cex resold bundled FIFA copies for years now (including FIFA 18) and either left the "not for resale" cover or made their own printed copies (which look awful btw). They do it for other games too, they have no ethics but apparently it's an allowed practise - according to them anyway. Took the exact copy to cex yesterday said on the cover not to be sold separately gave me £40 for it.